I hope all of you that celebrate, no matter in which way, are enjoying quality time with family and loved Ones. As I have shared a tiny bit yesterday, I had a great wellness bathing spa day with family, and then, of course just relaxing and eating, as everyone was at home and the city was totally empty, all stores closed and so forth. This is the time, anyone can take advantage of and spend good time with family and loved Ones. Many non-Christians also like to celebrate or spend this time like that, family time, watching movies together, cooking and eating. I had Christian Friends, Jewish Friends and also Muslim Friends, many, send me Christmas Wishes, and I found that a wonderful gesture. Imagine, if all people would just celebrate and eat together, play some good Music and Movies, Cartoon for the Kids together, and laugh together. The World would be peaceful. Michael has then opened up some very intense topics, explained things to me, showed me things, did healing work on me and my heart, which again when the pain lessens, opens up clear spiritual sights into even more details. 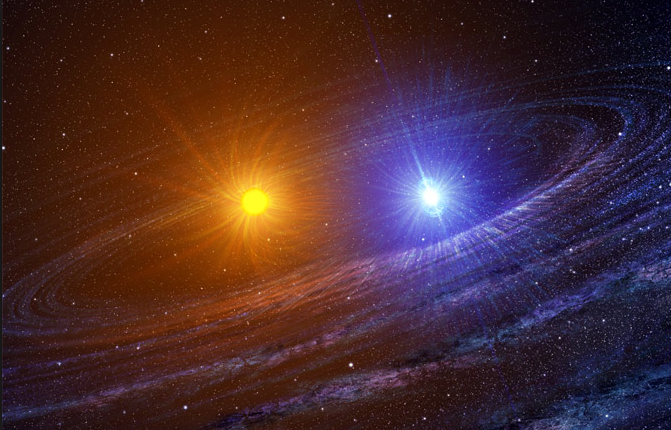 We are still in the STARLIGHT SERIES, right now, and it all gets a nice peak energy now, as the Starlight & the Star of Bethlehem are closer than you think in universal spiritual meaning. Beyond this Planet Earth, there is Light so bright that Human Beings cannot imagine it even fully, or see it fully while incarnated. This is God´s Light, contained in every light particles of which the Universe is made, including Starlight, Sunlight and Moonlights. 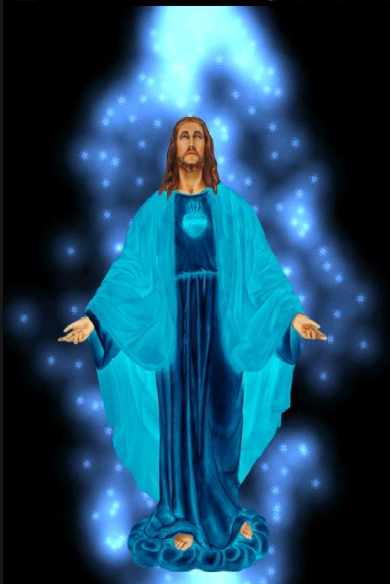 These physically manifested lights are only a tiny part of the true original SPIRITUAL LIGHT OF HEAVEN AND OF GOD. Human beings cannot even stare into the physical Sun we can see from here, directly. We cannot even “see our own Sun directly and fully and its light”. Else, it would burn our eyes and can cause sight damages. Older symbolism and stories involving a Central Magical Star are also found in ancient Egypt, again, especially the oldest Name of Osiris, in ascended form, is the “Eye Star”. The Sirius Star Map was even engraved in our drinking Cups back then, precisely, and correlating, and with Gold. Since the beginning of time on this Planet, human beings have looked up to the sky for guidance, may it be physically or spiritually. Back in ancient Times, many people such as the ancient Indians or ancient Egyptians, researched the sky scientifically and kept wondering and measuring and observing details to find out more and expand the human knowledge about astrology and astronomy. Finally, there is one basic element in this, one important spark and that is the light itself. The light of stars, of the Moon, the light itself is what resonates with human beings. The light itself is what makes people feel better, when they fear the dark or do not see what comes toward them (animals, insects and all that). A little lamp, or even a TV on, takes from many people fears that rise with the Night, as Human Beings as well as many Animals are not made for the Night, but for the Day. Cats for example, are different. They can SEE in the darkest Night, and they like to wander around alone, have their peace to play around, observe humans arriving at home or leaving, eating or taking a walk. They like to remain independent, while still depending on owners to feed them and provide a nice, warm and comfortable home they can always walk back to. Other than that though, they like to be on their own. This is why I always loved Cats. Other than that, we as well as most Pet Animals do sleep at night and are not independent so much, when kept as Pets, like for example Dogs. Dogs also fear different, I noticed, especially in dark corners, they make a noise when afraid, but Cats just move away without anyone noticing they were there in the first place, and might climb on something to check the situation from a far up, safe place, hidden. A dog makes whiny noises, or then just barks totally loud. The Cows I see from home, eating always their grass on the fields, wake up super early. I kept observing once, and noticed, they wake up exactly with the Sunrise really, after the Sun rays are on them, it wakes them naturally, then they get up one by one and begin eating again. Later they rest, and eat again, and then sleep early, I think around the time the sun goes down, but here a bit later I think because human beings make too much noise and car street noises too they can hear maybe and it disturbs the sleep. Originally, all of us, human beings, were like this. Sleeping at night, and awake in the day and doing all our activities during the day time. This is how we have been made, naturally. This is HUMAN NATURE. We have duality, but our bodies even are made to function best during the day time and in the sun light, which gives vitamins and energy to our bodies and bones even. People who work night shifts for a long time, get severe health issues, ask someone you might know or read up on it. 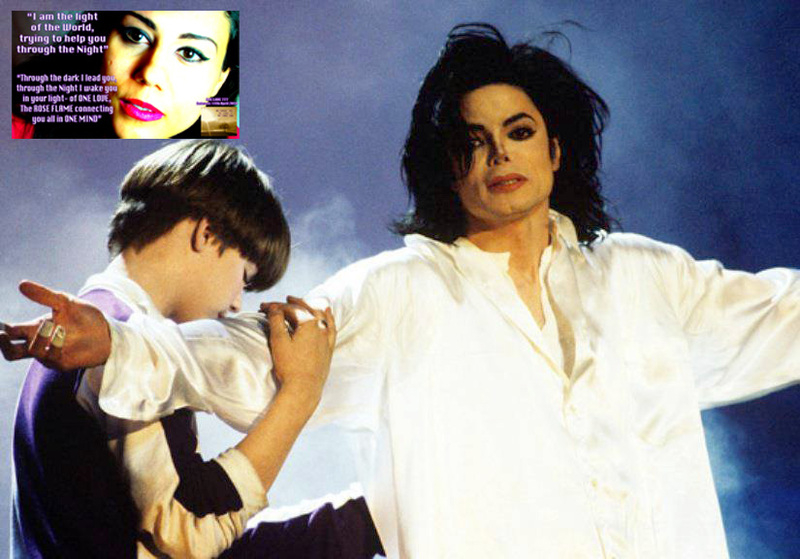 Michael Jackson as well, he got over time severe health issues, by not sleeping normal anymore at all, from the stress and pressure of things totally unnecessary like malicious attacks and interference based on envy and jealousy toward him by others who have nothing better to do with their lives. It messed up his sleep function, and yes, the accident from the Pepsi spot as well, had it´s part to play regarding the physical ability to sleep and in the brain signals, it somehow was disrupted in Michael´s case, and I had that shortly too just from being his Twin Flame, and it was not funny at all. When I say shortly, I mean, no time compared to him, but still a few years I had that, like “the sleep function or signal in the brain is totally switched off”. You can do whatever you want, you can´t sleep, even if your body aches and you cannot move and you are exhausted, you close your eyes to try, but your head, your brain remains TOTALLY AWAKE. As if the sleep function is blocked itself. This is how it felt for Michael, and to have brought him to such an unnatural condition, we have to look at many factors, and there are still people who try to interfere and attack, lie and manipulate, but then again, Jesus experienced the same identical things and reactions, no? In fact, all Prophets experienced the same interference tactics and as if their strong light “provokes the ones who have negativity inside to let it out”- show their true faces. So, this shows you, light is important, as it activates, energises, wakes up, permits the human body to function best and fully, while night time is best for resting, and getting into deep sleep for regeneration of this body. Many people cannot sleep if the light is on in the room or sunlight shines on their faces, as it blinds even with eyes closed and then they would get up, roll the blinds down and then sleep. Have you had such a situation? So, again, spiritually speaking as well, the night is not human nature, and the Setian false Teachings trying to compete with Osiris´s Twin Flame Teachings and all that rising again, are idiotic and dumb. 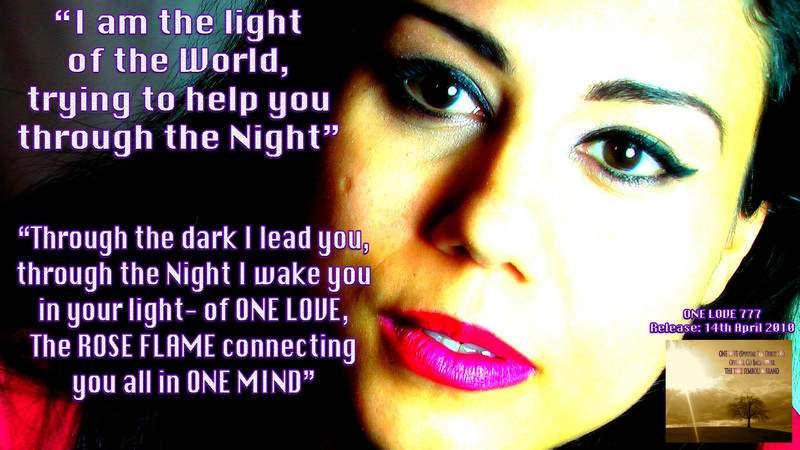 A soul cannot survive in the night, and people like Michael Aquino (Book of Coming Forth by Night, Mindwar) and Lady Gaga (Marry the Night) should think about that, and try all they can to rescue their Souls before they are done completely and cannot do anything anymore to get away from Set and sharing his devil-doom. In Michael Jackson´s Movie, MOONWALKER, he shows a mysterious, short and ugly type evil Guy, a symbolic actor for the role of Set/Seth from ancient Egypt. Have you ever once thought about the symbolism in this Film, in typical Mike style, about “filling the World with Spiders”? “Filling the World with Widows”…think about that part, Michael says. 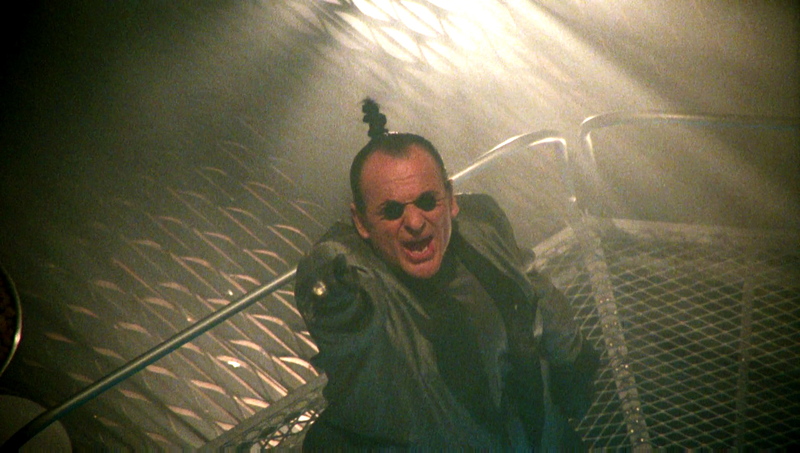 Of course, there is the magical wishing Star that flies by anytime Michael needs help and is being under attack by this evil Guy named Mr. Big (Joe Pesci), which has been secretly plotting an operation named “Bugs and Drugs” and Michael and the little Girl hear his secret plans and get hunted down then by his evil army. Later on, when Mike was preparing THIS IS IT, how they later named his Comeback Concert Plans, he had a huge Spider theme on the Stage, where he himself would crawl out of a giant “Black Widow”- which is a Twin Flame symbolism in this case, a hint on “out of his Black Widow(Twin Flame) he crawls back out again and is reborn / resurrected”. 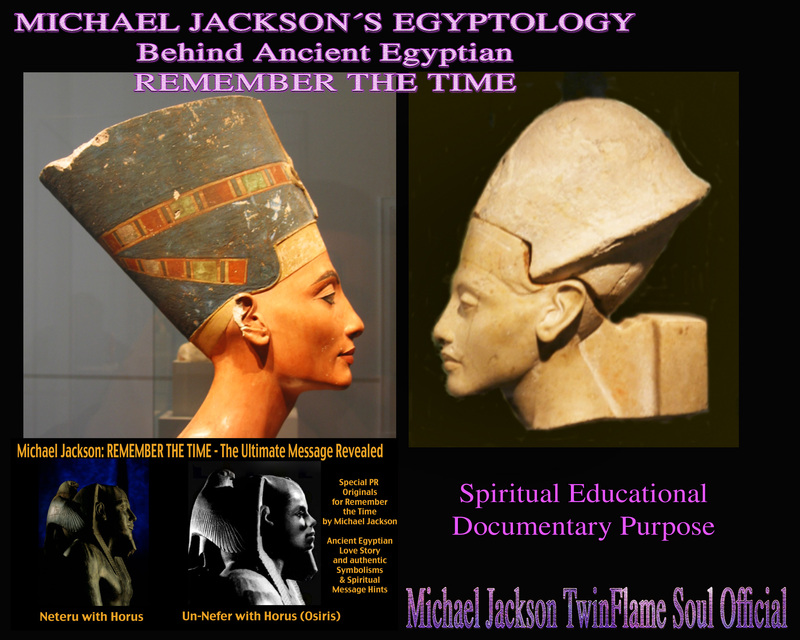 Simple and summarised: IN MICHAEL JACKSON´S TRUE AND ONLY REAL TWIN FLAME SOUL STORY THE JEALOUSY AND INTERFERENCE THEME BY THE “EVIL PLOTTING JEALOUS GUY” IS ALWAYS THE SAME = ANCIENT EGYPTIAN SET (Satan, Devil). And while I am looking up a link for you, dear Readers, right now as I always type in a direct, honest, non edited and channeled flow in one piece, look what I found under these Mr. Big Moonwalker search results coincidently. Disgusting, Setian mockings in Tabloids, seriously. Why would something like this even get printed now, you ask yourself please, dear Readers, this is just 2 months old, from 2015! And I am sure the MJ Fans will start seeing over time also the full truth here easily, about Michael´s special soul and why all these things happen. I will say one thing here, and this is an official reply, and Michael Jackson never got close to this cheater, using his Name for messing with her husband´s head and both obviously nuts, trying to get like this some money from Michael Jackson´s Estate, LOL. In ancient Egypt, Set´s wife, which had a crush on Osiris, tried once to dress up as Isis, Osiris´wife, to trick Osiris and seduce him so she would get pregnant from him. But Osiris caught the trick fast and stopped the whole thing before anything could happen. So, not only Set was after Isis, but Set´s wife, unhappy with his evil, abusive ways, wanted to have something from Osiris, some “part from his legacy by deception and trickery”. And by the way, as we are in the middle of our Twin Flame Magic focused STAR LIGHT Series, they released for this Holiday 2015 a brand new Movie for “Star Wars”– on the Cover a Black Guy with the Blue Light Sword, and Darth Vader (Dark Vader =Set) in the Story holding a red Fire. I am going to watch this Movie today later, and then write a “Spiritual Movie Analysis and Critique” for you, dear Readers. Now, back to Michael and his “Lucky Wishing Star bringing him Starlight Magic”. In this case, Michael is presenting though a magical Star, an otherworldly power, and when he is changed into the Robot especially, he depicts symbolically and in a cool modern way Archangel Michael symbolism and looks. Michael transforms into many different vehicles, similar to the Transformers, but Michael did this Film first actually with these special effects and ideas of “humans transforming into machines”. But this is a symbol, as when you say about a person “he is an entertainment machine, or dancing machine” or also in the negative saying about military people and such “killing machine” then people use symbolically the term “machine” to describe an automated, strong, reliable skill above human imperfections. What do you think regarding this Movie depiction specifically? What Machine is Michael representing here? 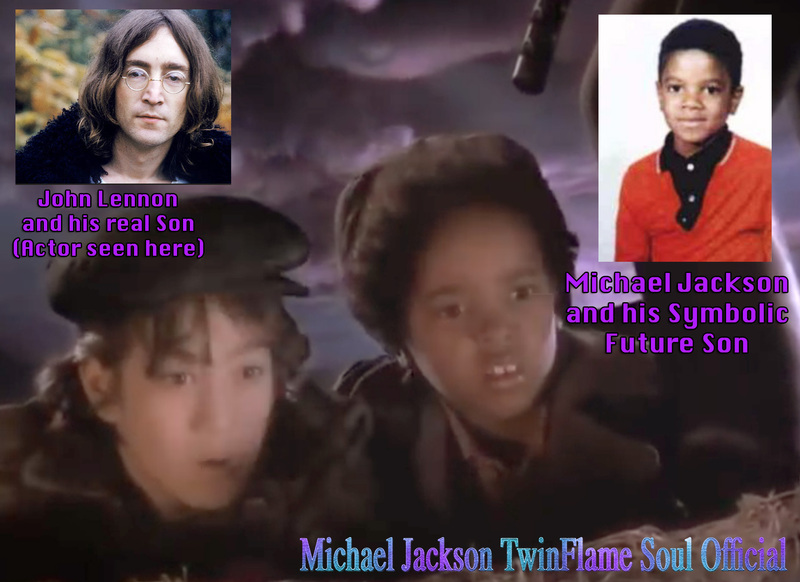 And again, the Kids represent literally and symbolically the Children of Elvis Presley (Lisa-Marie Presley as a little Girl), John Lennon´s Son (literal actor as well), and Michael as a Child and symbolically, his own “Son in the Future” as Michael did not yet have own Children back in the late 80s when releasing this Movie. 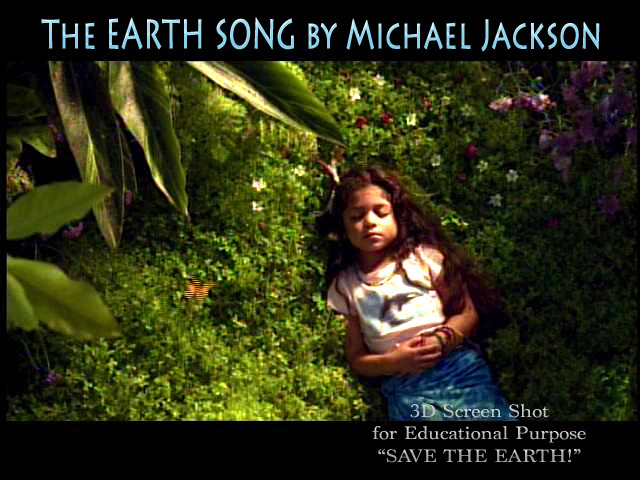 The invisible Magic theme, repeating in the Movie story line, with the Lucky Wishing Star of Michael appearing, and helping him out of the most stuck situations in magical ways, is the Starlight, his Twin Flame that is only visible IN HIM, other than that. The invisible Twin Flame force with him. Remember, in Michael Jackson´s Movie “MOONWALKER” there is repeatedly his “Lucky Star” that appears in the sky like a shooting star, and then brings “The Starlight Magic” to transform Michael so he can escape from the evil Guy and his dark evil soldiers. 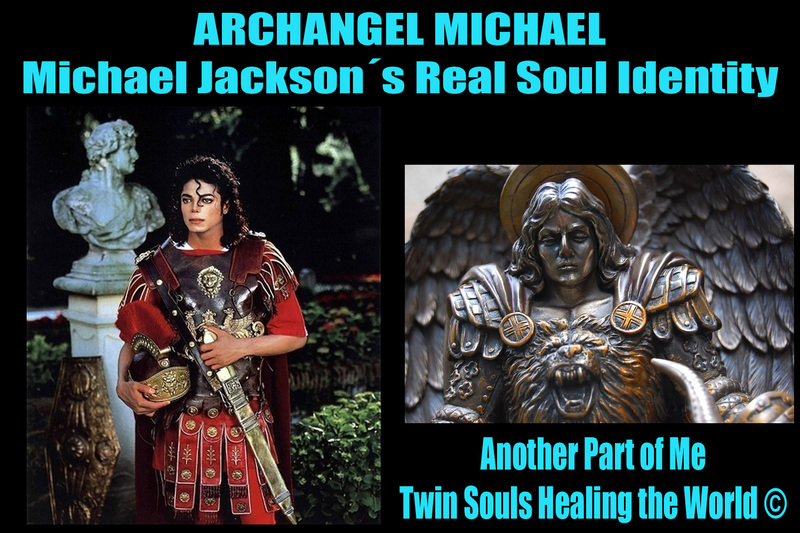 As you see in the above two chosen still Images from the original Movie, you see Michael´s transformation from “The Human” to “Archangel Michael”- to battle evil forces on the Planet. Those evil forces of the Devil, can really hurt souls, can really make sad and cause deep depressions to humanity, which can block spiritual evolution and block the mind and consciousness. But exactly in such situation, Archangel Michael comes in, strong, willed and with a divine force backing him up, to protect good from evil, to protect the light from attacks and interference by the dark side. Archangel Michael has existed long before any earthly Religions, and in fact, before this Planet was made. Before this Earth, and this human life form was made, we were in a whole different, pre-form, spiritual bodies, as mostly in our eternal life´s scope. This Universe is older than you could ever count, but the spiritual Realms where everything manifested from, are even older- eternal, without no beginning or end. Many spiritual Stories we have in human history, are containing repetitive elements, universal elements that resonate with the mass consciousness of humanity. Such as, a Rose is seen as something beautiful and positive, which smells good, and sulfur is bad, and smells bad, that is therefore attributed with how “the devil smells”. Isn´t this funny, how people associate certain things with the divine or the devilish? When Twin Flames merge, they tap into a higher Consciousness, that makes it almost impossible to feel anything negative. To hold that, is of course a whole other topic, but finally, this is the goal. To transform our consciousness, to ascend our minds, and HOLD the higher vibration and positive, constructive, healthy mind focus. There is a lot of pain, pain over lost souls who decide to do wrong, and not just therefore harm other innocent souls in the process, but their own souls burdening it with “karmic debt”. When Twin Flames merge, there is a bright spiritual light that gets activated, like the light from Heaven, the original light life force which holds our Souls eternally alive. The Christ Consciousness is open up and begins ascending when Twin Flames merge, but as in our situation, between Heaven and Earth. The Christ Consciousness is not an earthly thing, but more an “ascended consciousness anchored in an earthly incarnation”- which is a spiritual challenge in this duality. But totally possible, and a wonderful, unique experience that brings anyone closer to God and true eternal love knowledge. But this is a huge topic, about which we have already written much, and still, having to explain and teach much, as we like, in writing, Songs, Movies, Books and more. Many speak of the so-called “Messiah”, and prophecies foretell his return to Planet Earth. People think very limited, and expect ONE PERSON ONLY to do what is described as the Messiah´s coming “spiritual work”- like each individual soul can just remain passive, while at the same time things complete heal and change. But I am telling you, there might be Individuals that guide you to the right direction and help, and of course the Archangels and Angels of God as well, but you have to do YOUR ACTIVE PART INSIDE AS WELL. This is about Mass Human Consciousness being called to change, and chose the Light path. This is about People finally getting the Message, that all these Guidances were Guidances, and now, YOU are asked to “be like them”. Michael Jackson said once in his famous Oprah Winfrey Interview, that he tries to “be like Jesus, and behave like Jesus, but he is not Jesus”. He tried to speak of something very profound, spiritually, and something very important he deeply reflected on. Oprah was looking at him strange, when he said “I am not saying I am Jesus”- she said “yeah, I think we´re clear on that”. I always found that to be a bit rude and strange, because you can never know the soul inside a Person and Michael was emanating and doing very similar things to Jesus, according to simple facts everyone knows. The consciousness focus for this Mantra and inner Realization Chant “I AM” is more than just saying “I believe in, I feel, I think of, I get closer to”- you MERGE and say “I AM THE LIGHT ITSELF”– not just “I got some light around me”. Instead, the light “is deep inside of me, part of me, it becomes me, it is me, I AM THE LIGHT ITSELF NOW”. This is how it works, such a Mantra or “Spiritual Focus Chant”. It is like meditation, but with speaking or singing a Mantra, not just thinking (mind meditation). 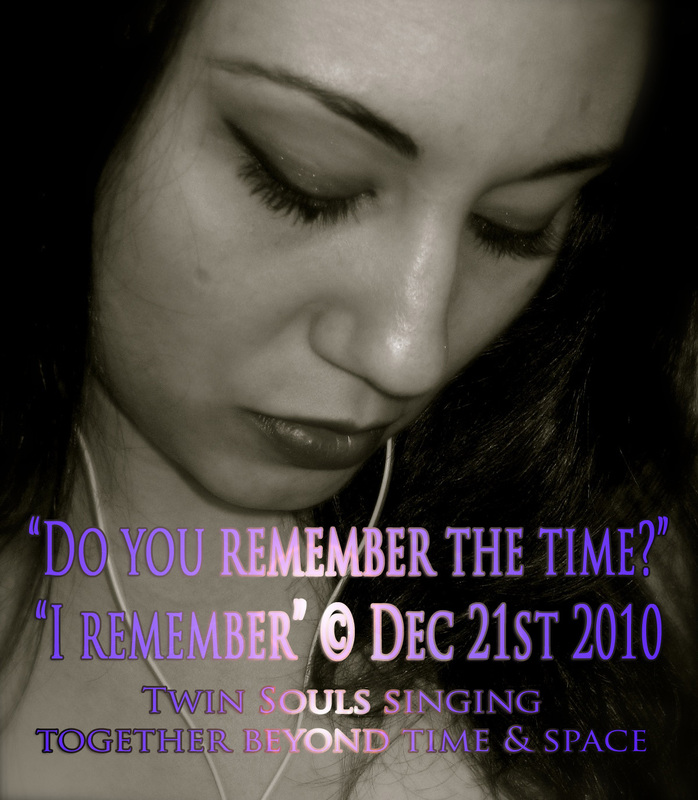 When he returned in Spirit early 2010, to tell me that I am his TWIN SOUL, and stay with me with Permission from God, to help me and shield me, we continued the same identical message and work together, via the channeled Spiritual Pop 777 Concept, from which my personal Brand emerged named “TWIN SOUL POP”. So, you see, both messages are merged, and this was like “picking up the torch or the sword excalibur of Archangel Michael”. This is about THE MIND AND THE SOUL´S CONSCIOUSNESS. It is about more than what meets the eye. It is about the matter that affects “magically” everyone and each individuals aura, chakras, therefore physical body and health condition, and the physical brain functions as well. Spiritual energy can affect these functions, the physical ones as well. This spiritual Light we talk about often, is not a physical one that your physical eyes can perceive, but an “invisible light matter from spiritual realms” that can transform you, symbolically like Michael transforms in his MOONWALKER Film. There are many things in this Article, which we will leave UNSPOKEN. But you know it already, and you feel it. Just like the ancient Druids loved to teach, as well as we in ancient Egypt, it sometimes makes more sense to “stimulate the thought process” and then let a student or knowledge seeker make their own experiences, reflections and conclusions- because true knowledge cannot be taught, it can only be experienced and understood within personal experience. You all have the natural, God-given potential to “become Christ-like”, or “Angelic”. It is absolutely a healthy mind focus, to think child-like and open, and try to get inspired as a human being to improve and become better and better, by all extraordinary historic stories of soul, miracles, God and his Angels, or exceptional human beings that give you reason to get inspired by them, like Michael Jackson. 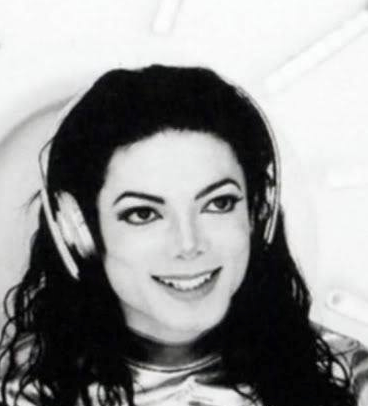 I know it is difficult for the general public to understand and get their minds around the fact that Michael Jackson, the Entertainer they know, is in Spirit THE FAMOUS Archangel Michael- but it is a consciousness process and by the time you understand this, you have had already a quantum leap in consciousness evolution yourself. And just like Michael could evolve and become this legendary and famous Archangel, you too can become such evolved Beings, with your own efforts and sticking to God, and your Twin Flame, Love, always. 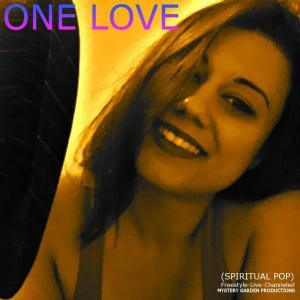 And we are calling you on all of you, to raise the vibration in your minds, and elevate your Consciousness to the Christ Consciousness…all this brings incredible Light to help you and your Twin Flame in the big Reunion process. As many of you know, today is a special Day, a historic Day many people celebrate. Since yesterday, many things have taken place, and today I was at a SPA bathing place, and was swimming in the salty water, hearing this meditation Music they have in sound boxes under the water (so you lay on your back and float around relaxed, and your ears bit under water hear the relaxing music). I am not a Christian, by the way, but we still enjoy this time, the TV and Music programs around, for once, light, happy, good Entertainment everywhere, and lots and lots of relaxed, good energies. I love Christmas Movies and Santa Clause Movies, to be honest. “If only I had still access to my money, you have no idea what I would do, surprises. And I would do this, and that, for my Children, and this and that for Charity, and this and that” and so forth. He was so happy, and acting literally like Santa Clause, by his verbal comments I mean. Tomorrow or on the 26th, we will publish the things Michael explained to me and the many deep truths I realised from that even more. For today, I wish you a really happy merry Christmas, lots of divine Love vibes, healing light and again, LOVE. They said, that this Planet Earth, was once Planet “Water”, meaning covered with water and that some high altitude mountain plates in South America were once a coastal riff. 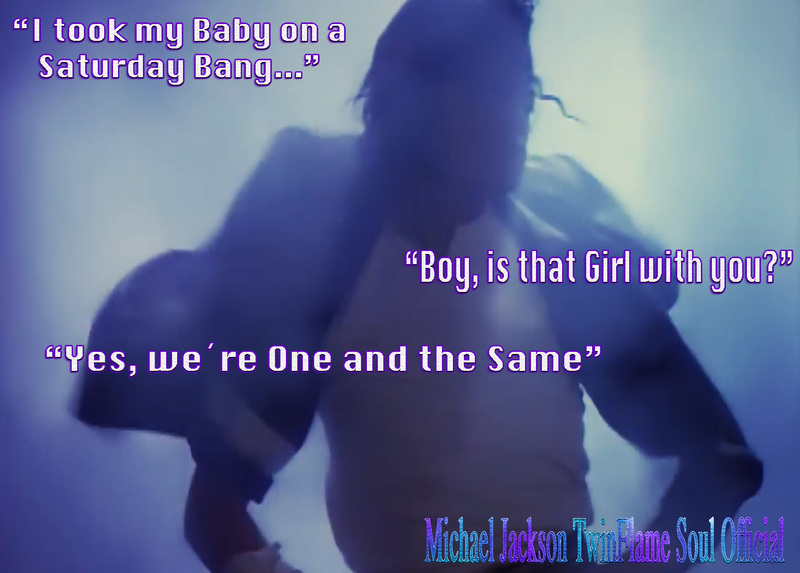 Michael sat next to me and said immediately all kinds of things, about that I should remember the ancient Egyptian same Science, but theories channeled from others in Spirit, ascended and able to view things beyond space AND TIME-LINES. The Ancient Egyptians had a “Creation Myth” that was exactly surrounding this whole Water Source Womb focus, and literally Scientists today pick that up again and say, everything and all Life, came out of the water that once covered the whole Planet almost. Then, we have the literal, but also celestial and universal-symbolic Story of Osiris, that was killed by his evil Brother Set in an attempt to take over his Throne and Life, and then dis-membered into pieces. Isis, Osiris´wife (or Auset and Ausar are also known historical Names) then went travelling the lands and RE-MEMBERING Osiris back into one whole Body, with all parts reunited and merged. Now, apply that, philosophically, spiritually as in bigger, broader universal thinking, and compare it´s layers of symbolic meaning to what literally happened to the Planet we are on: First it was one Land, one piece, then it was split, which also caused a lot of things in later History here, and now, it is all about reuniting Humanity itself, so to speak, on a spiritual symbolic level using these ancient Examples. So now, as modern Scientists debate such theories and claims, and it correlates exactly with ancient Egyptian writings and knowledge, even if the language and style changed of telling the Information, how do YOU think the ancient Egyptians knew all this, thousands of years ago? And without “advanced technology and machines and devices” as many people are told and believe so nowadays? There can also be 2 options, logically. Just like modern Science and even more, advanced Technology and Devices for sampling and measuring things, to know back then what modern Science is “just getting into”. Or, the spiritual Powers were more powerful and precise than anyone can imagine today in modern time, and through spiritual methods the ancient Egyptians would “receive all this information”. Which one do you believe is more likely, and is more convincing to you? Well, I think you will be surprised at some things I am going to say and describe now. People today, honestly speaking with this extreme lack of training and strength of their “spiritual muscles”cannot even imagine much of the things the ancient Egyptians were really able to do. One of these things was “remote viewing” , meaning looking into things from a distance, by switching from the physical perception, to the over-souls spiritual perception, into the “soul eyes”. Like this, we were able to find out many, many things, and for these reasons we had laws, spiritual codes and laws in society back then that would ban the “Interference with another´s will and privacy” with abusing such methods of remote viewing. “I have not acted the part of the spy” this ancient Egyptian negative Confession was formulated that way, and each Soul was believed to have to pass this test and judgement on their Soul to “enter Heaven”. For Lovers this was a very special area of spirituality, and we had many Temples with male and female High Priests and Priestesses available for spiritual counselling at any time, and literal Experts in all ways on Twin Flames, able to help Lovers in any situation, totally unlike it is today! This knowledge had always been central in ancient Egyptian Teachings, and contain a Perl of ancient Egyptian History and the unique Egyptian Magic and Spirituality. 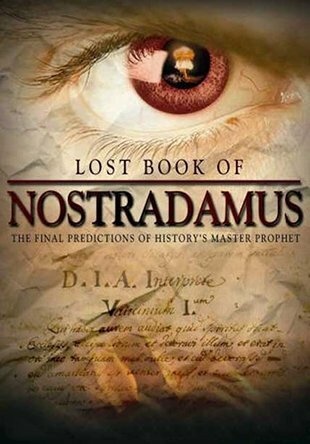 In the above seen example Image for educational purpose here, you see a Film Poster for a Movie made about Nostradamus, and the big Eye symbol right in it´s middle. This is just a more modern example, but it reveals the exact common use and meaning of how we used the Eye symbolism also in ancient Egypt! When used to specifically describe and meaning “Osiris´Eye”, or “Isis or Horus Eye”, also in Osiris case the “earthly human and the ascended Eye” differences, it meant specified things, but also always relating to the above mentioned general meanings for the Eye symbol when used in ancient Egyptian hieroglyphs language, which was visual and adjusted to the “inner images of the human consciousness”. And right in ancient Egyptian fashion and method, I will channel this writing right now here, in one channeled writing and without any editing, from my akashic Memories. This is how we would do things, how we could also know what the far away friend was doing, or any loved One in trouble, sensing in from a distance by remote viewing, and able to focus “a layer of spiritual protection light around the person” as well. So, this had a very good use, the ability itself is a natural Creation in us, by God. The use of it and how it is applied makes it bad or good. The SPIRITUAL RESPONSIBILITY and always promising to the Spirit realm and Angels to remain TRUTHFUL AND HONEST in all one says, does, even thinks spiritually, was taken very serious in ancient Egypt. Nobody showing any sign of the same traits like Set, like not loyal, not valuing honesty, not able to keep secrets, falsifying spiritual teachings to others for manipulative deception and selfish gain (like Set)- all those types of people were strictly banned from even looking into the Gates of any Mystery Schools or Temples! Today, in modern time, thousands of years after this time, and when much of the knowledge was lost in meantime and some of it stolen and in abusive hands at the moment, while the masses have no access and no idea, it is even more important to release the full knowledge now to all humanity, so everyone has a fair same chance to learn and educate themselves, get inspired spiritually and in their minds to evolve their consciousness and that is what life is. 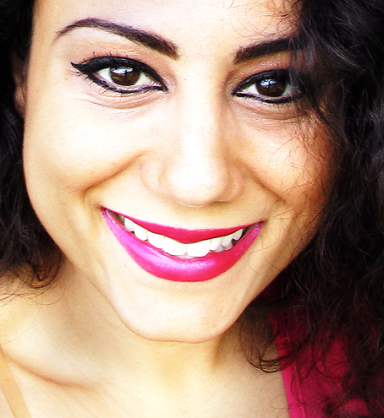 Growing, evolving, becoming something bigger, better, more fine-tuned, more understanding. When the awake-life consciousness is on, and you are that, awake and walking around, grabbing a coffee and breakfast, going to work and so forth, you are in this routine and mind program which is of course affected a lot by how modern society is, and thinks, spiritually. So, you are blocked from insight into spiritual perceptions, often, which is why the real and scientifically measurable psychic spiritual skills are so rare, and often people who claim such are simply fake and/or delusional as in “living in illusions others cannot tangibly see”. The Earth around us, the clean air, water, buildings we sleep in, is very, very important for this as the physical body vessel is what is connected to the astral bodies as we are here, and in order to access these sights in a pure and strong direct way, so it functions so to speak, the body must be as clean as possible too, and the environment makes a big impact and influence on people´s health today. Of course, the stronger the mind, the more one can overcome physical obstacles, and I certainly do not mean to make anyone think that if you are not healthy, for any reasons not even your fault, then you misunderstood me. My own sister, which already passed, in 2009, was born disabled. 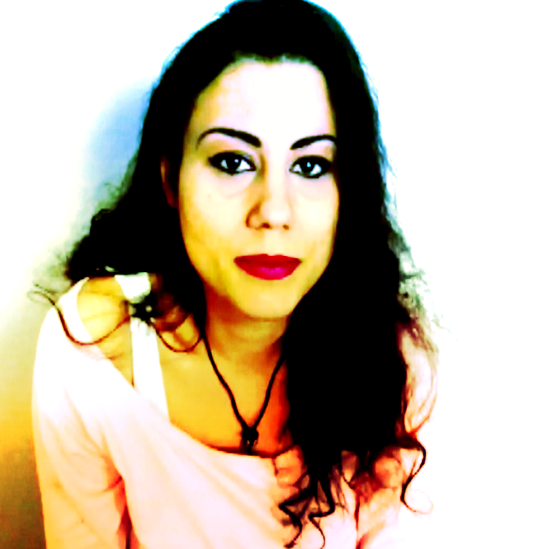 But her mind, and her soul were always unique and extraordinary in her sensitive, intuitive spiritual skills and telepathically she would always know what is happening inside anyone around her. The physical “reality” or how things appear I mean, do not tell you always the full truth about the being and soul behind, you know. You can go into astral, and visit any place on Earth, or simply CONNECT TO PLANET EARTH, in your Dreams, and that is a unique and wonderful experience. You can also meditate in Nature, connect your feet to Mother Nature, and breathe in the air and smell the flowers and trees, while focusing light, pure spiritual divine light for Mother Earth, for Healing support. All the above mentioned, was known to be intensely multiplied in power and effect, when true Twin Flame Souls would merge, and both were studying the ancient Egyptian Mystery Teachings. It was the “optimal idealistic model” based on Osiris and Isis / Ausar and Auset. And just like explained above, the different layers of the Self, when reunited, consolidated and merged, it all goes back to authentic ancient Egyptian teachings styles, with correlations between Spiritual Mythology, and actual physical, planetary Sciences. As it is on Earth, so it is in the Celestial. And ancient Egyptians would built each building and temple even, adjusted and directed toward certain celestial, universal and astronomical constellations for “attuning the building and its energy on the planet and location with the celestial universal energy gates” available. In these buildings then, the spiritual exercises and focus would work out much easier and get enabled and stimulated well.